By several accounts, last week’s Pension Board meeting in Geneva (20-24 July 2015) was a doozy (Merriam-Webster definition: “something that’s unusually good, bad, big, severe.”) Pick one or pick all; the meeting seemed to have been all of the above. While we await a Staff Union summary, which we’re told will be coming shortly, we’ve received and posted here the FICSA and CCISUA statements, highlights below, and we also received an email circular from retiree colleague Julie Thompson yesterday. If what we're reading and hearing is any indication of the overall mood of the meeting, it was shall we say, not a comfortable environment for anyone yearning for a new MOU any time soon. Brett Fitzgerald on behalf of FICSA felt unwelcome, he said, thanks to the efforts of some Fund Secretariat and Board members who had conspired to delay his statement until the last minute, after decisions had been made. (Note to selves: the FICSA President's 29 June 2015 letter is still apparently unwelcome on the AFICS website). FICSA had supported the request for an updated MOU, he noted, on condition that the rights of current and future Fund staff were protected. In order to know “what went wrong, where, and at what stage” Mr. Fitzgerald wished to see “all draft versions of the MOU” plus he needed to hear from not only the Legal Adviser on behalf of the CEO, but also from the RSG and OHRM. And things were only just heating up. Apparently the temperature soared noticeably when the Legal Adviser to the Fund, Jaana Sareva, inquired of the FICSA representative whether he had been bought by CCISUA. Ms. Sareva reportedly also delivered a full-throated rant against the USG for Management's decision to delay finalization, and the staff federations' opposition of the MOU, pausing only briefly to catch her breath before proffering heartfelt gratitude to the AFICS/FAFICS leadership for its stalwart support. So we knew going in that the Memorandum of Understanding had already been put on hold by USG for Management Takasu to allow (his iSeek statement of 10 July 2015) staff and retiree concerns about a new MOU to be addressed. Many of us hoped that at the very least Mr. Takasu’s time-out would result in enough of a breather to allow meaningful consultations with relevant parties. We appear to have got much more than we expected, since from these statements, yesterday's email, and conversations with others, there’s currently no clear time-line when consultations on the MOU might resume. 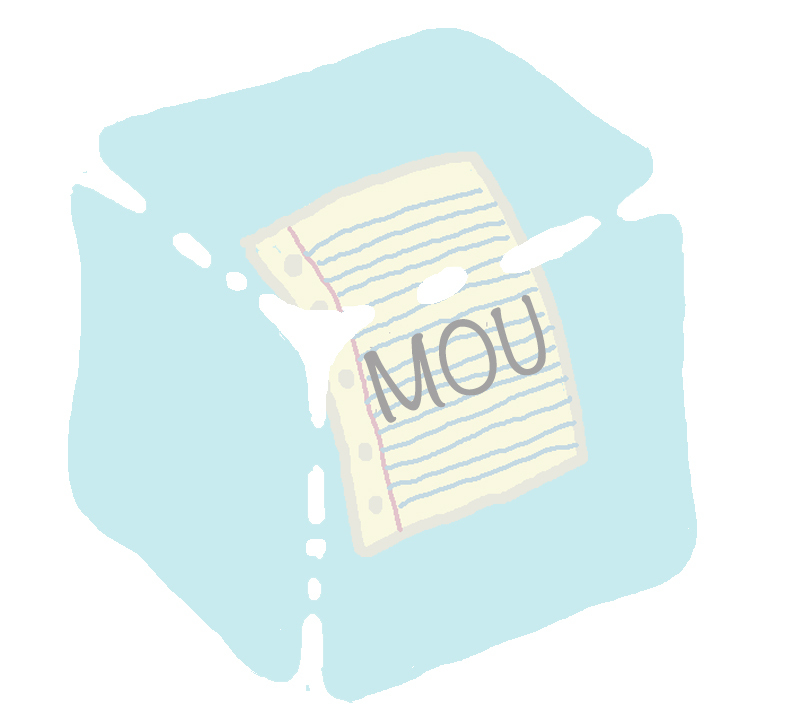 Dare we conclude that what began as a Takasu-imposed time-out could very well morph into an MOU deep-freeze (unlimited hold on a new MOU)? When Mr. Takasu made his announcement, some skeptics anticipated a perfunctory pause quickly followed by business as usual. The optimists among us (pessimists with umbrellas), wishing for more, chose to take Mr. Takasu at his word, that motivated by the concerns he’d heard from staff and retirees, he was allowing space for the comfort level of the concerned parties to grow before moving to finalization. For many that comfort level with the MOU seems at the moment to be a long way off. Many of us are actually feeling quite at ease now that it appears to be safely on ice. Undoubtedly the discomfort level for its ardent supporters -- among whom we now seem to have confirmation that we can count our own AFICS/FAFICS representatives -- has reached new heights. This could be just the “doozy” – something unusual, big, and good -- we've been hoping for, and as we await more news, including exactly how the AFICS/FAFICS leadership positioned itself despite its assurances about protecting our interests, we’re all eyes and ears.